Private arrival transfer from Bali International/Domestic Ngurah Rai Airport (DPS). Avoid the airport crowd and have your private driver waiting on the arrival hall with a sign board written your name on it. In case your flight is subject to delays, your driver will be still waiting at the new expected time of arrival. Meet your friendly driver who'll drive you safely to your hotel in Kuta (approx. 25-minute), Legian (approx. 30-minute), Seminyak (approx. 45-minute) and Nusa Dua (approx. 45-minute). This private arrival transfer uses air-conditioned MPV/SUV car that can accommodate up to 4 travelers with luggage included. When you arrive at Bali airport, proceed through customs then you will meet your driver waiting on the arrival hall holding your name. Your friendly driver will meet and greet you as well as escorting you to the car. 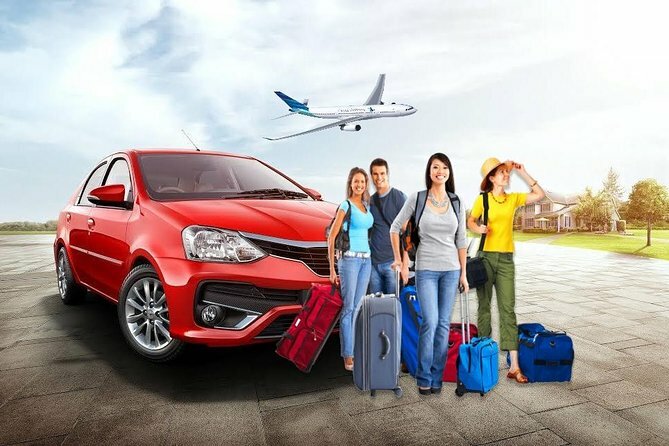 With private air-conditioned MPV/SUV car, enjoy your drive to your hotel and our driver will be happy to answer if you have any questions and even though you hit rush hour or traffic, your driver will be patient to drive you with no extra cost until you arrive at your destination. Your private arrival transfer includes: Private car up to 4 travelers, friendly driver, Gas, Airport parking fees, Transfer to Kuta (approx. 25-minute), Legian (approx. 30-minute), Seminyak (approx. 45-minute), and Nusa Dua which takes (approx. 45-minute). Driver was really friendly. Drove narrow streets to get to our hotel. Gave us information about culture, food, and money changers. Basically, he answered all our questions.